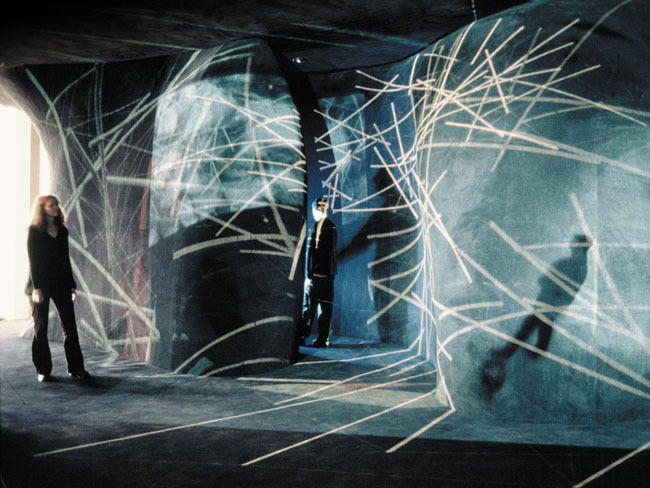 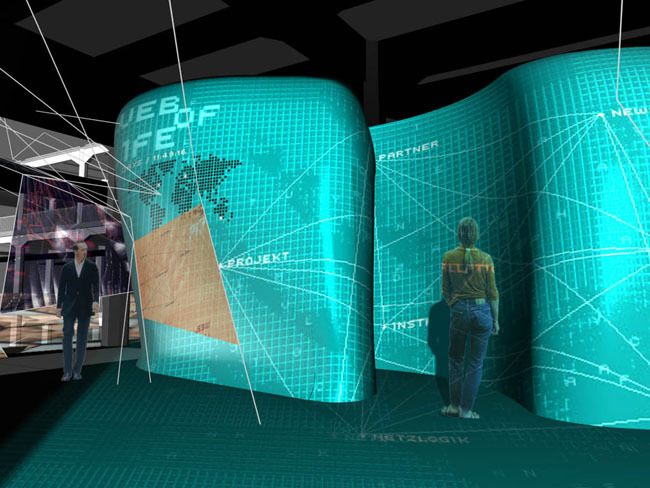 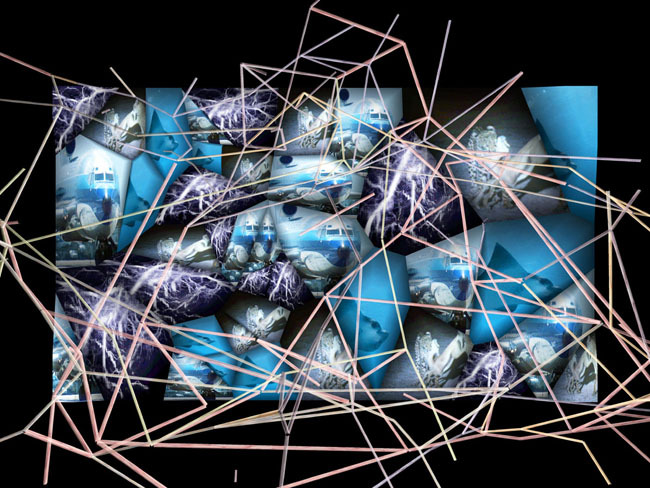 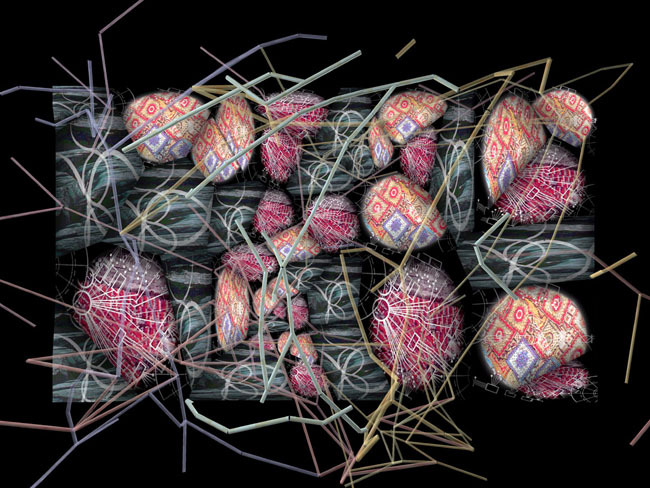 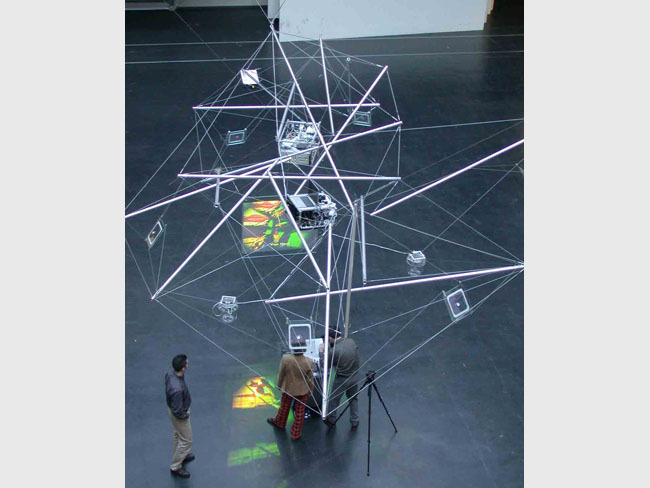 Web of Life is a distributed, networked installation that examines the notion of networks. 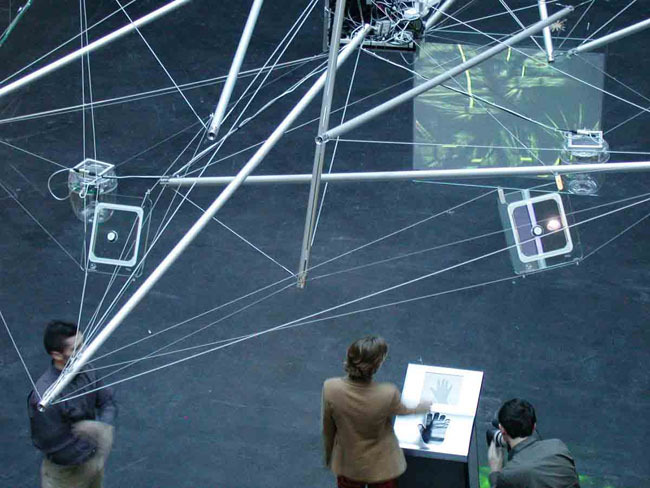 With one permanent installation at the ZKM and several mobile satellites traveling around the world, Web of Life presents an immersive audio-vidsual experience consisting of images of netowrks, simulated network structures, and a growing database of stylized handlines. 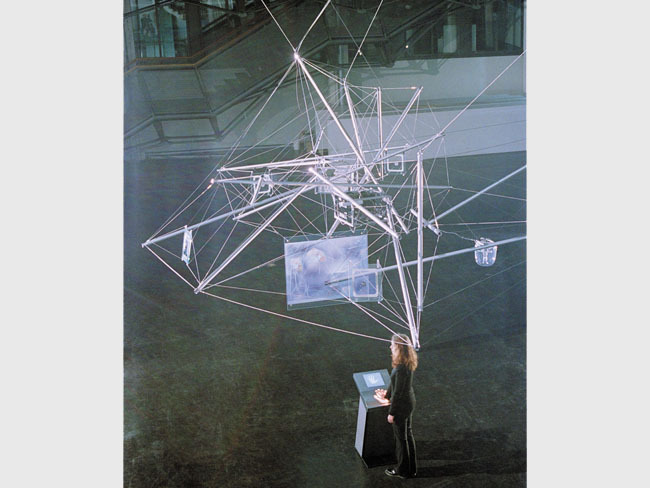 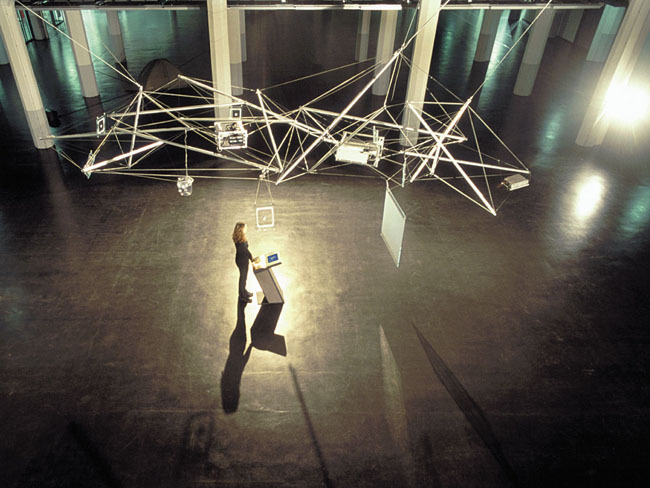 The networked installation-satellites communicate with each other in real-time. 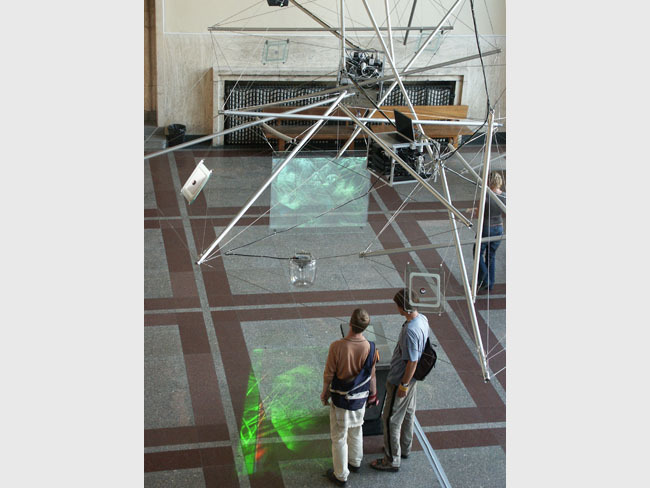 Using handlines as a metaphor for complex networks, the control interface for the installation is a scanner that reads the hand-lines of users and integrates them into a database. 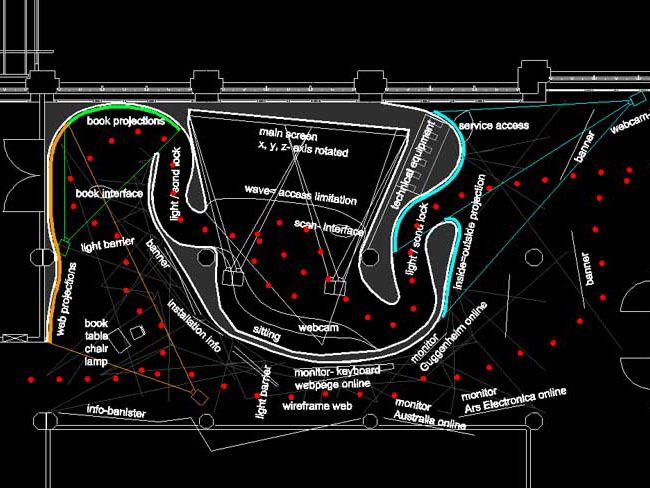 Submitted lines trigger similar patterns and enter in communication with those of other users.